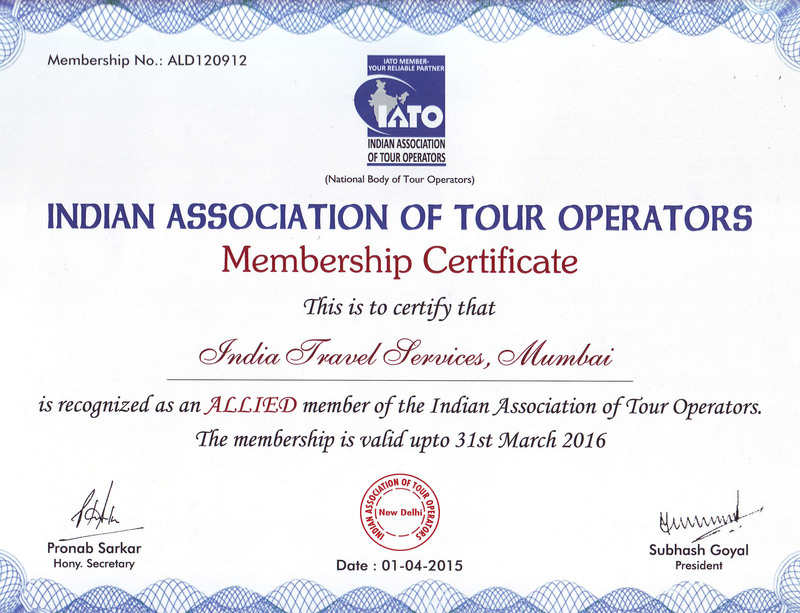 Arrive Delhi and meet the ITS representative at the arrival hall and transfer to hotel. Relax & overnight in Delhi. Morning tour of Old Delhi: visit the majestic Red Fort, the historical Chandni Chowk, besides Raj Ghat and Shanti Vana. Afternoon tour of New Delhi, visit the Rashtrapati Bhawan, the one-time imperial residence of the British viceroys; the India Gate, a memorial raised in honour of the Indian soldiers martyred during the Afghan war; the Laxmi Narayan Temple, built by the Birlas, one of India’s leading industrial families; Qutab Minar, built by Qutub-ud-din Aibek of the Slave Dynasty; and the lotus-shaped Bahai Temple. Evening free at leisure, overnight in Delhi. Morning drive to Mandawa. Arrive Mandawa and check - in at hotel. From this hotel you can take a walking tour of the painted houses in this region belonging to some of the leading business families of the country. The most famous of them are Ath(8) Haveli Complex & Poddar Havelis. Evening enjoy cultural programme at the court yard of the hotel. Morning drive to Bikaner. 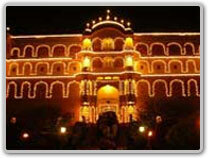 Arrive Bikaner and check – in at hotel. Afternoon sightseeing tour of Bikaner including The Junagarh Fort, built by Rai Singh between 1588 and 1593, has a 986-metre-long wall with 37 bastions. Also visit the government-managed Camel Research and Breeding Farm is only one of its kinds in Asia. Evening free to relax, overnight in Bikaner. Morning drive to Jaisalmer. Arrive Jaisalmer and check – in at hotel. Evening free to relax, one can visit Gadisar Lake in Jaisalmer, overnight at the hotel. Morning sightseeing tour of Jaisalmer including Golden Fort of 99 bastions, housing a fourth of city’s residents. Also visit Patwon Ki Haveli is one of the most exquisite havelis with a beautifully latticed façade. Salim Singh Ki Haveli is just three centuries old, and is still lived in. Its arched roof is held up by well executed brackets in the form of peacocks, Nathumal Ki Haveli built by two architect brothers. Early evening take an excursion tour to Sam Sand Dunes - 45 kms, enroute visit Bada Bagh - Chhatris (Mausoleums) of Royal Family, ancient temple of Lodurva, Amar & Mool Sagar Lakes. Arrive Kanoi just 3 kms before Sam Sand Dunes, transfer on Camels back to enjoy the country side, arrive Sam where you will enjoy sun set over the dunes. Drive back to Jaisalmer for overnight. Morning drive to Manvaar. Arrive Manvaar and transfer by jeeps to Manvaar Swiss Tents in the middle of desert. Explore the surroundings and the village on camel back. Evening enjoy theme dinner with live folk dance & music. Overnight in the tented camps. Early morning one can take camel safari again, later drive to Jodhpur, on arrival transfer to hotel. Afternoon take a sightseeing tour of Jodhpur visit The Mehrangarh Fort situated at an altitude of about 125 meters is spread over an area of 5 sq. km and has seven gates. The Jaswant Thada is a white marble memorial built in memory of Maharaja Jaswant II in 1899. The Umaid Bhawan is a majestic building that presently functions as a hotel and museum. The Mandore Gardens, situated about 8 km from Jodhpur, has cenotaphs of the Jodhpur rulers. The Government Museum and Zoo are located in the pleasant Umaid Gardens. Evening visit Balsamand Lake & Palace, overnight in Jodhpur. 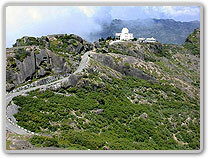 Morning checkout and drive to Mount Abu, on arrival transfer to hotel. Later in the day visit sun set point & enjoy boat rides at Nakki Lake. Overnight in Mount Abu. Morning sightseeing tour includes visit to Delwara Temples, the best Jain temples in the country. Gaumukh Temple, Achalgarh Fort, Toad’s Rock, Sunset Point, Trevor’s Tank; Nakki Lake said to have been carved out by the gods with their nails, is a favorite spot for boating. Overnight in Mount Abu. Morning drive to Udaipur. Arrive Udaipur and check – in at hotel. Afternoon free to take a walking tour on your own through the narrow lanes and back streets of Udaipur up to the Washing Ghats at the lake Pichola. Visit Lake Palace Hotel in the evening if you wish to have dinner at the Palace Hotel situated in between Lake Pichola. Overnight in Udaipur. Morning sightseeing tour of Udaipur visiting The City Palace and Museum is considered as the largest palace complex in Rajasthan comprising of Jagdish Temple which was built in 1651 AD, Crystal Gallery & Durbar Hall all in the vicinity of City Palace Complex. Later visit Maharana Pratap Memorial it has the bronze statue of Maharana Pratap, the legendary warrior king of Udaipur. Saheliyon Ki Bari is a small ornamental garden built in the honour of royal ladies. Late afternoon enjoy a two hour boat-ride on Lake Pichola visiting many Ghats (banks) of washing, bathing etc and enjoy excellent views of the Lake Palace and City Palace. Evening one can visit Nagda Ruins comprising of Sas Bahu Temple & Eklingji Temples on the lake Bagel, drive back to Udaipur for overnight. Morning drive to Pushkar. Arrive Pushkar and check – in at hotel. Later visit Pushkar Lake which is believed by the Hindus to be as old as creation, has been a place of pilgrimage through the centuries. There are 52 bathing Ghats built around the lake. Also visit the only temple of Lord Krishna. Pushkar draws thousands of tourist every year in the month of November to witness the Pushkar Fair. One can also visit Ajmer to see Taragarh Fort, Adhai Din ka Jhopda & Shrine of Khwaja Moinuddin Chisti, evening free to relax, overnight in Pushkar. he old caravan city of Samode locked up in its walls and dominated by the castle. On arrival transfer to Samode Palace Hotel, later visit the Palace, the Sheesh Mahal- the hall of mirrors. Late afternoon take camel cart ride to explore the Samode Fort and the semi desert village of Samode, evening free to relax at the Palace Hotel, overnight in Samode. Morning Morning excursion to Amber Fort, situated just outside the city, You can have the unique experience of traveling on elephant back to and from the top of the hill on which the fort is situated. Rest of the day is kept free for individual activities or shopping the most famed markets of Jaipur of handicraft, gems & fabrics. Evening if you wish you can visit Nahargarh Fort to see it illuminated by flood lights. Overnight in Jaipur. Morning checkout & drive to Agra enroute visit the old Mughal dynasty at Fatehpur Sikri, visit Panch (five) Mahal, Buland Darwaza (Mighty Gate), and Shrine of Shaikh Salim Chisti. Later drive to Agra, on arrival transfer to hotel. Evening visit the grand Taj Mahal to see it over the sun set. one can also visit the famous inlay work handicraft market of Agra. Overnight in Agra. Early morning one can visit the Taj Mahal to see it over the Sunrise, after breakfast checkout and proceed for the city sightseeing tour visiting The Taj Mahal, .n the morning enjoy a tour of the other monuments in Agra. The Agra Fort (also called the Red Fort) makes an interesting sight. The fort retains the irregular outline of the demolished mud-wall fort of the Lodi's. The Tomb of Itmad-Ud-Daula is located in a walled garden overlooking the Yamuna. Akbar’s tomb at Sikandra, located in a large walled garden on the road to Delhi, is a magnificent gateway covered with floral and geometrical arabesque decoration in white and colored marble with four elegant minarets. 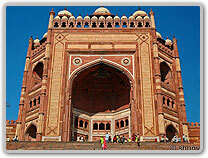 Later in the day drive to Delhi, on arrival transfer to hotel, relax & overnight in Delhi. Day 19: Delhi - Back home. In time transfer to airport to board the flight back home with royal memories of Land called Rajasthan.